1. How did you get in the Netherlands? Was it a choice, you were born there or what? - I came to the Netherlands in August 2012 for love. I drove from Athens to Arnhem in my car full of my belongings, I thought of it as a mini-vacation! If the relationship didn’t work, I would pack and drive back to Athens. But the relationship worked so I never left! I went through hard times until I finally took the bet and opened my own art shop here. It was a good move! 2. This whole concept of yours-which by the way I found it amazing-. Tell us more about it. 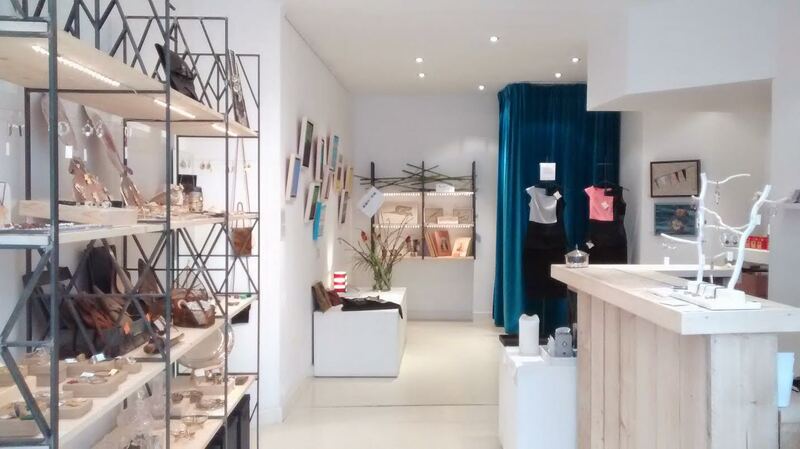 - Filadelfeos Fine & Decorative Arts is a shop/gallery in the centre of Arnhem. We rent out shop space to selected international artists and designers who want to display and sell their work to the Dutch market. The concept is simple: provide excellent quality work, good service, competitive prices and a nice environment, share knowledge and in the meantime have fun! I particularly try to promote Greek artists and designers. Even the logo, the furniture and the displays are Greek or of Greek inspiration. Locals love it and are very supportive. In addition to the selling, we also organise workshops, short courses and other fun events. 3. Do you think ''crisis'' made Greeks more creative? - The financial crisis has been tough in many ways, but it definitely helped (some) Greeks not only to explore their creativity, but also become more business-like, more competitive, to take risks, to gather and use information in a more effective and efficient way. Although we all wish the crisis had never happened, we might as well learn from it and emerge stronger! 4. Greeks are the lazy guys that like to drink coffee under the sun, or it’s just a cliché'' that people from abroad like to believe? - I think that is a cliché repeated by populist media for the lowly educated. But we Greeks are also responsible for this image: we like to sell the idea of the “Greek Dream” to foreigners to attract tourism: sipping on coffee under the sun or lying on the beach, drinking ouzo at the taverna and enjoying life is what we sell as “Greece, your perfect vacation destination”! It doesn’t mean we actually do that all day. Likewise, the Dutch have a drug tolerance policy as well as a huge amount of drug tourism but they themselves do not smoke weed all day, as some might think. Actually, they hardly do it at all. 5. Do you have any Greek designer that you love mostly? - I am particularly fond of traditional costumes and jewellery and I admire artisan, handmade arts and crafts. I also love the work of all the artists I represent in my shop in the Netherlands: Melina Tarantinou, Maria Petzetakis, Artemis Tsitouris, Caterina Argyrou, Myrsini Maneta, Yiota Vogli, Mary-Zoi Moustakoudes, Fey Papanikou among many others. 6. Your next goals are? - I want to establish my shop Filadelfeos Fine & Decorative Arts (which is still new –open since November 2014!) and appeal to the greater Utrecht-Arnhem-Dusseldorf (Germany) area. The German market is important for Arnhem shops. Arnhem sits midway through Amsterdam and Dusseldorf and we have a lot of German tourism. It is also the Fashion Capital of the Netherlands and the municipality actively supports all creative, art and design initiatives. This makes Arnhem a perfect location to present talented artists & designers! Within 2015, we will already be expanding and creating more space to present even more designers. In the near future I want to offer more workshops to promote knowledge and aesthetics, which is a very important feature for me. I am also looking forward to collaborating with other people and institutions to work in favour of aesthetics within a more ethical, equal and less discriminative European market and offer to the local society.